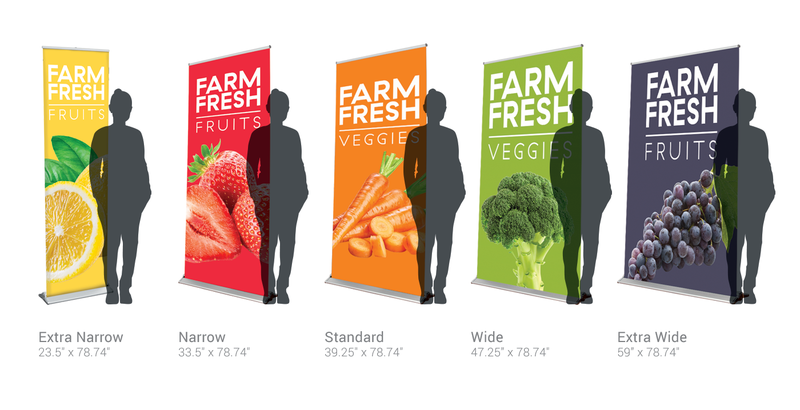 Create an instant advertising exhibit and draw attention to your product or business. 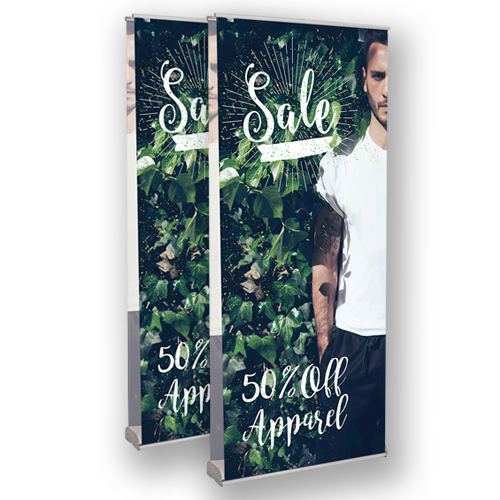 With a retractable design, these banner stands take up minimal space when you’re not using them—making them perfect for storage and transportation.  We offer 5 different sizing options, which all come with a sleek stand made of anodized silver with chrome finish endcaps and a streamlined base design. 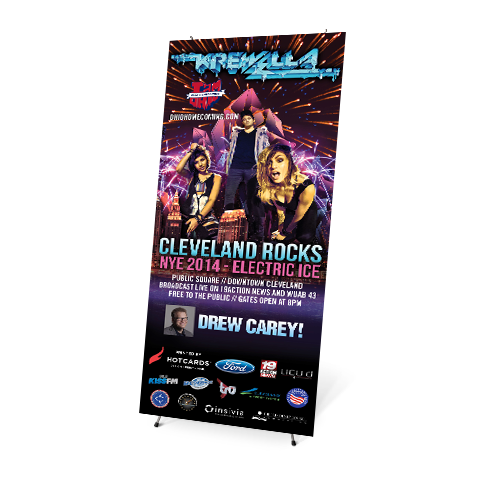 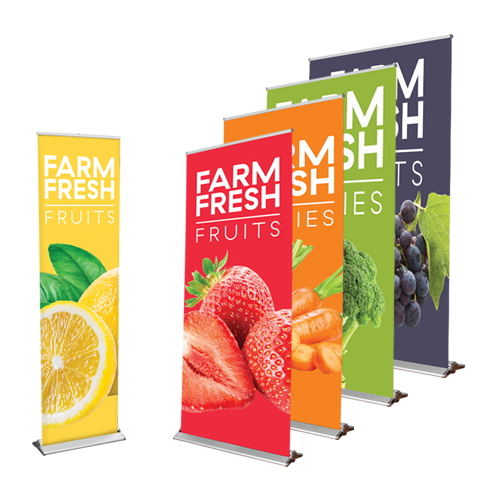 The stunning look of our banner stands makes a lasting impact that can be assembled in seconds without the use of tools. 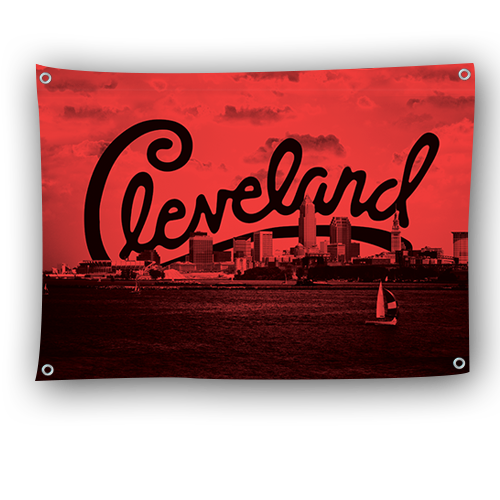 NOTE: If you want multiple versions of banners, you will need to upload and add separate products to your cart.